Whenever internal combustion engines are used to generate power, emissions are also created. 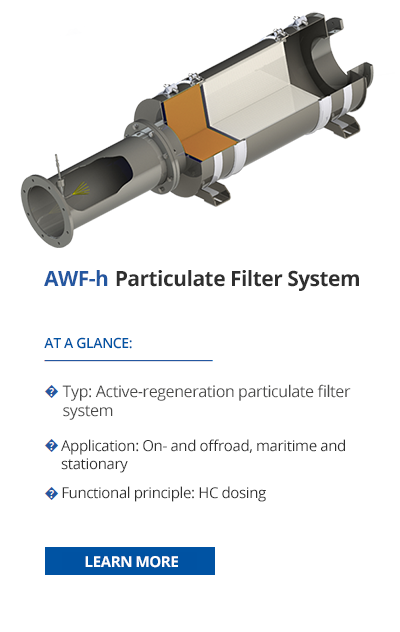 We have made it our goal to sustainably and effectively reduce these unwanted pollutants in compliance with emis­sions laws, which are becoming increasingly strict around the world. 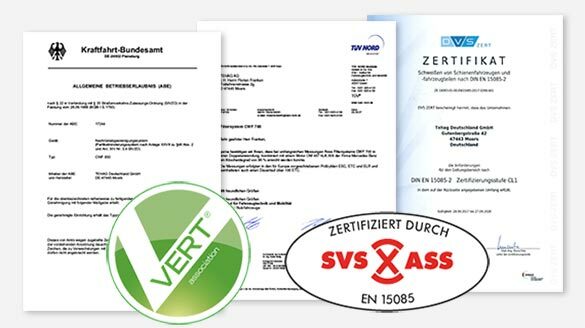 With more than 25 years of experience, we are a competent and reliable partner for after-treatment of ex­haust gases from internal combustion engines. 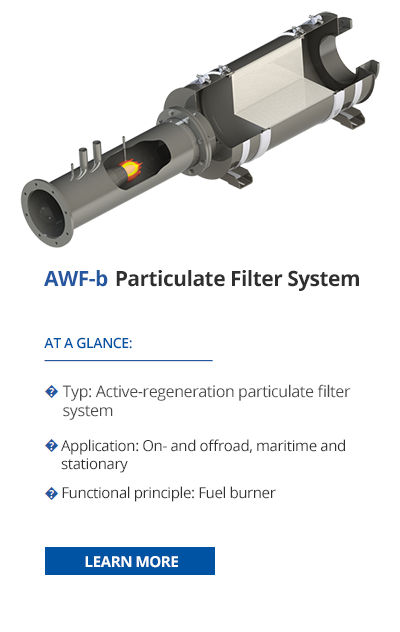 With our innovative products, we offer so­lu­tions for efficient reduction of noise pol­lution and toxic emissions from pet­rol, natural gas and diesel engines. 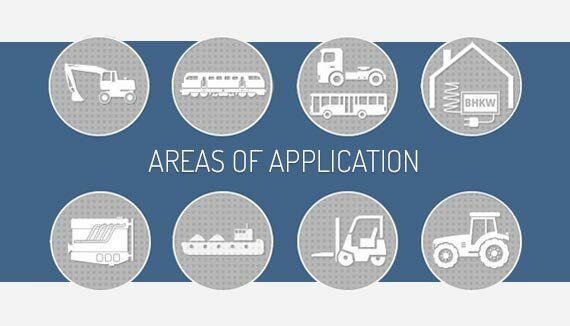 We offer comprehensive expertise and a wide range of products for nearly every application – from mini-ex­ca­va­tors to ship propulsion, from power generators to locomotives – both for original equip­ment and new con­struc­tion projects as well as for retrofitting of existing vehicles and machinery. With our comprehensive, in-hou­se engineering expertise, we are happy to help you develop the exhaust systems and drive concepts of the future. 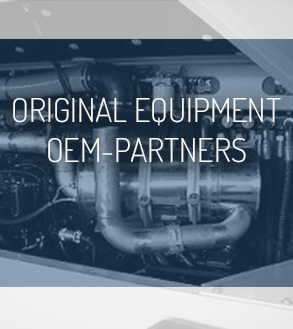 All products in our portfolio can be used as original equipment as well as to re­tro­fit diesel, petrol and natural gas engines. 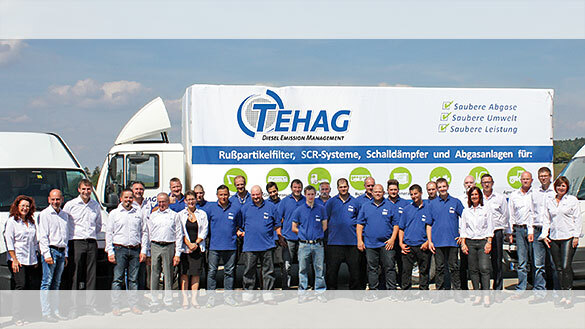 We demand nothing less than the best when it co­mes to quality and service. This is true for every process, from consulting all the way to order pro­ces­sing, and in particular for every one of our pro­ducts, which we consider to be our flag­ship. You can find more information along with request forms in our downloads area. If so, please call us or send us an email! Our competent team will be there to assist you throughout. Whenever internal combustion engines are used to generate pow­er, emissions are also created. 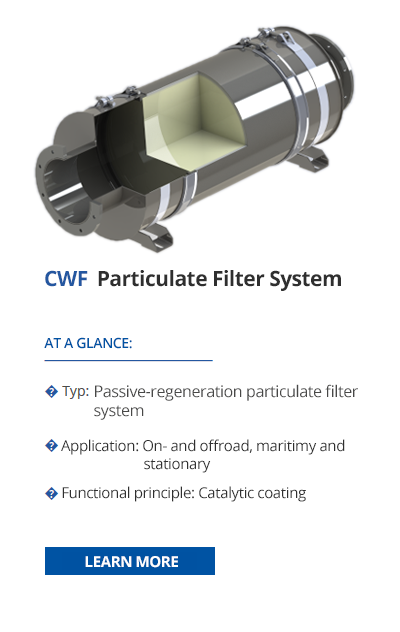 We have made it our goal to sus­tain­ably and effectively reduce these unwanted pollutants in com­pli­ance with emissions laws, which are becoming in­crea­singly strict around the world. 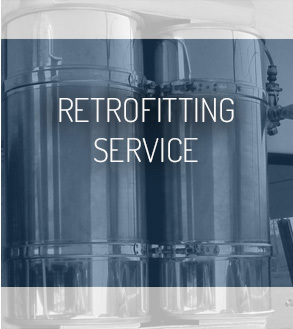 With more than 25 years of experience, we are a com­pe­tent and reliable partner for after-treatment of exhaust ga­ses from internal com­bus­tion en­gin­es. 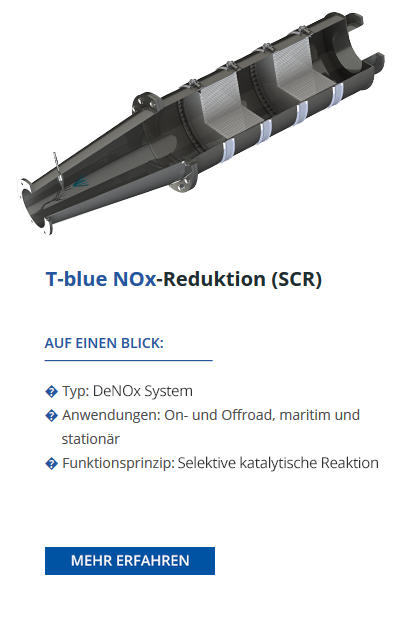 With our innovative products, we offer solutions for efficient re­duc­tion of noise pol­lution and toxic emissions from pe­trol, natural gas and diesel en­gin­es.